ENAMORADA by Emilio Fernández had its restored restoration premiere this year at the Cannes Film Festival and also, had an unforgettable screening at Il Cinema Ritrovato Festival. Now, this extraordinary Mexican film will have its Latin South American premiere in Bogotá, Colombia at The Classics. Founder and Chair of The Film Foundation, Martin Scorsese stated: ” I’m very happy to know that ENAMORADA will open The Classics, and pleased that The Film Foundation is continuing its support for this festival. ENAMORADA, directed by Emilio Fernández, was a huge hit in Mexico and catapulted Pedro Armandáriz and Maria Félix to stardom. The film takes place during the Mexican Revolution and was inspired by Shakespeare’s The Taming of the Shrew. This extraordinary restoration, by the UCLA Film & Television Archive and TFF’s World Cinema Project, in association with Filmoteca de la UNAM and Fundacion Televisa, and funded by the Material World Charitable Foundation, highlights the great work of the director, actors, and the film’s legendary cinematographer, Gabriel Figueroa. The soundtrack, restored by Audio Mechanics, includes the beautiful performance of “Malagueña Salerosa,” one of many highlights of this beloved film. I’m grateful to Olivia Harrison and the Material World Charitable Foundation, for their passionate commitment to preserving and presenting this and many other masterpieces of cinema”. The festival is grateful for the great collaboration of Televisa, titleholder on the patrimonial rights of ENAMORADA. 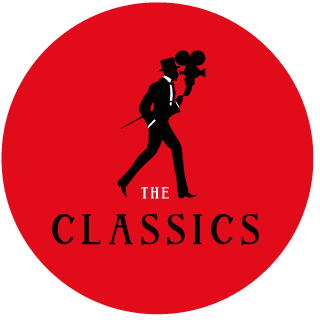 The Classics will take place November 8th – 14th. The Classics, Festival of the Films That Will Live Forever is supported by The Film Foundation, Cine Colombia, Caracol Cine, British Council Colombia, Park Circus, Mei Lab Digital & Gas Natural.